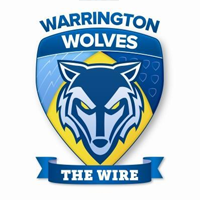 The Catalans Dragons were looking to make it two on the bounce as the Warrington Wolves flew into Peripgnan, themselves looking for a return to winning ways after two consecutive defeats. Both coaches made a small number of changes to their starting thirteens and benches, Warrington without the injured Ryan Atkins who didn’t make the trip and the Dragons without Jason Baitieri who was suspended. A win for the Dragons would lift them off the bottom of the table while a Warrington victory would see them into the top eight. The bookies fancied a Warrington win, to add to Steve McNamara’s misery. First try of the game came from Mitch Brown when he took a pass from Toby King after the Dragons had been forced to drop out under their own sticks on two occasions. Bryson Goodwin failed to add the conversion for a 4-0 lead after five minutes. The second Wolves try came on seventeen when Daryl Clark used great upper body strength to push his way over despite the attention of three Dragons tacklers. Goodwin added the extras for a 10-0 lead. Warrington were totally bossing the game against a Dragons side who were looking increasingly clueless. A high kick from Kevin Brown was knocked back by Mitch Brown into the hands of Ben Murdoch-Masila to take two steps over the line to score. Goodwin failed with another conversion but it was all way too easy for the visitors. There was a mass brawl on thirty-two which took referee Kendall an age to sort out. After extensive consultations he sin binned Fouad Yaha and Tom Lineham in an attempt to calm the two sides down. The game simmered to the interval but there was nothing further to trouble the scorers. An early dropped ball by Lewis Tierney on his own twenty gifted the Wolves possessoion and in the third play of the set Kevin Brown put Murdoch-Masila over for his second try of the evening. Goodwin kicked his second goal from four attempts to make it twenty without response. On fifty-two Greg Bird went over for a try for the Dragons but the on-field referee called no-try for an obstruction and the video referee agreed. A swinging arm gave Goodwin a penalty goal from ten metres on the hour mark but he missed what looked like an simple opportunity. Terrible conditions, with driving rain, made handling difficult and neither side could come to terms with them. Another mellee on seventy five saw Michael McIlorum and George King as the third and fourth sin-binnings of the game and three plays after the penalty Harvey Livett picked up a ricocheted kick through to go into a massive gap and motor over under the sticks. Goodwin added the extras for the final points of the game for a 26-0 win. This was a poor game played out between two sides, neither of which will be challenging for honours this season, and both of which might find themselves competing in the middle eights come the split. There were few bright points, even for the winners Warrington, as both sides struggled for and consistency of confidence with the ball in hand. The Wolves are momentarity up to sixth spot in the league but the Dragons are firmly anchored to the bottom with just one win in six outings, having being held scoreless for the first time in their Super League history. Dragons: Mead, Yaha (SB on 32), Gigot, Thornley, Tierney, Bird, Albert, Casty, McIlorum (SB on 75), Moa, Anderson, Wiliame, Garcia. Subs: Bousquet, Aiton, Jullien, Simon. Wolves:Ratchford, Lineham (SB on 32), Goodwin (3G), King T, Brown M (T), Brown K, Roberts, Hill, Clark (T), Cooper, Westwood, Hughes, King G (SB on 75). Subs: Philbin, Murdoch-Masila (2T), Akauola, Livett (T).